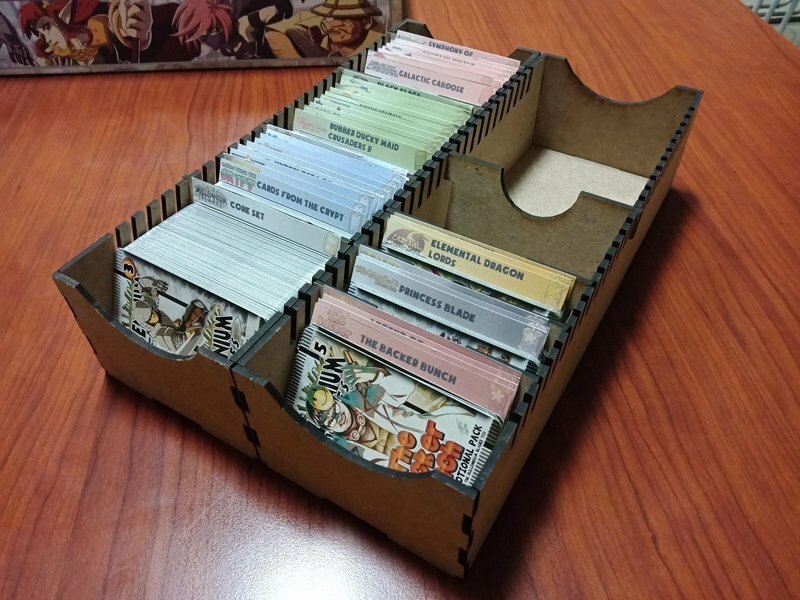 Amounting to 652 cards not including the over sized cards. 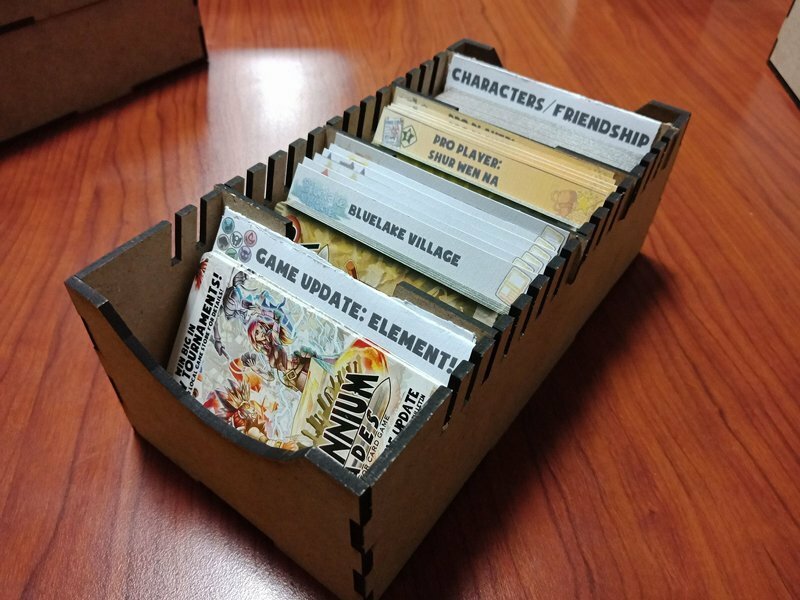 The game comes with a flimsy cardboard, and doesn’t provide any way to keep the cards sorted. 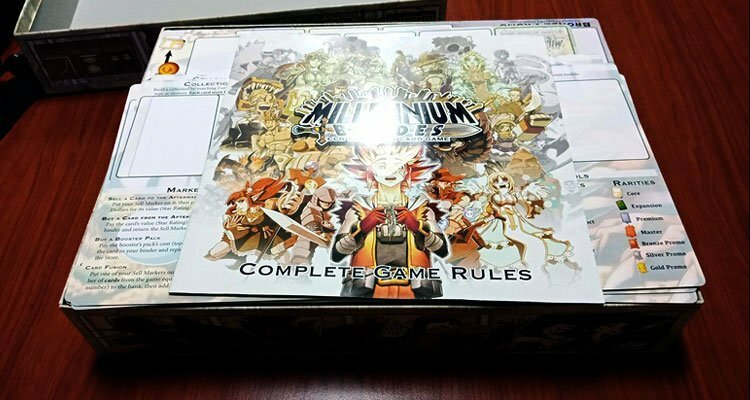 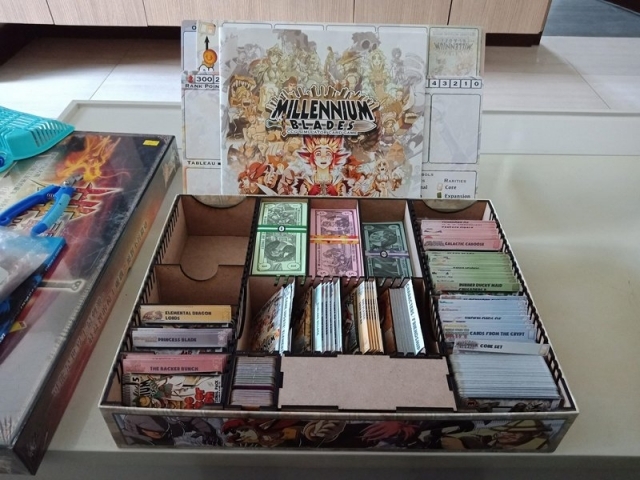 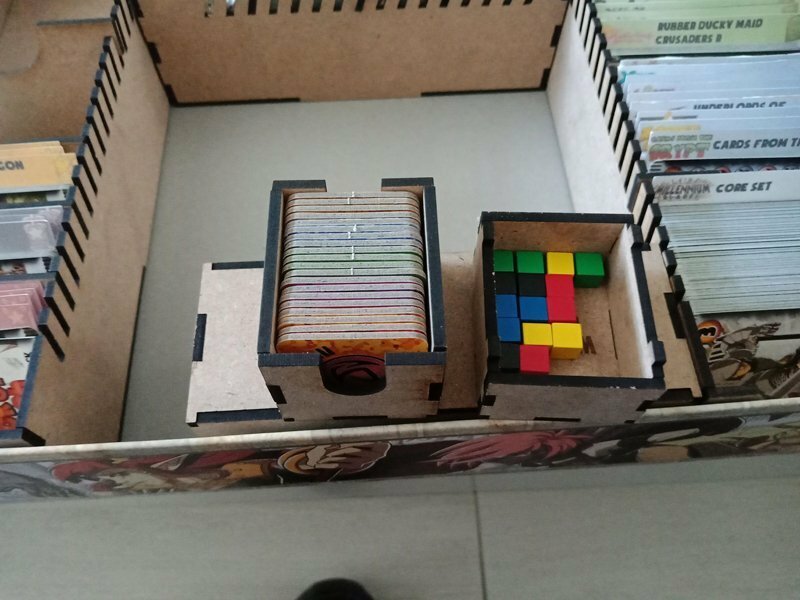 Fortunately I came across in the Philippine Boardgame Enthusiasts Facebook group someone who had just made a prototype for the Millennium Blades game. Its made of MDF board, and can be assembled easily with a rubber mallet. 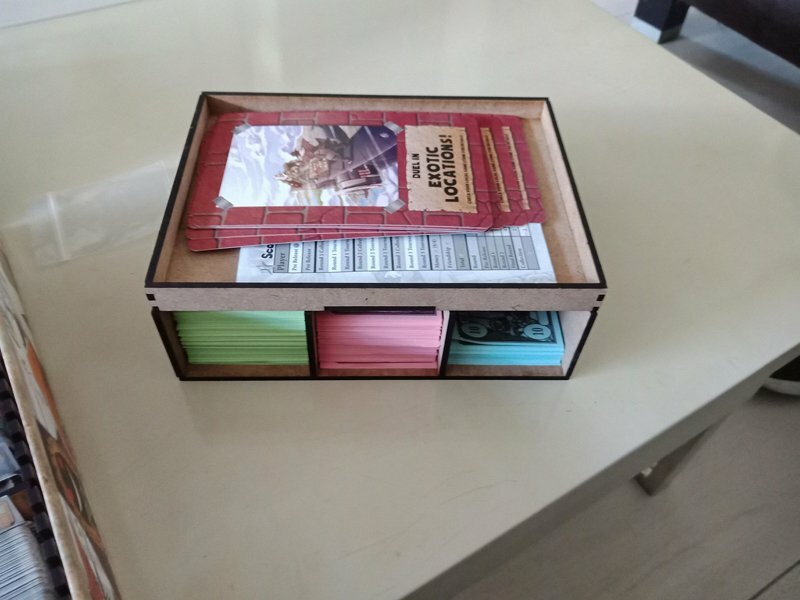 It comes with 2 sets of long inserts and 2 short one for the cards. 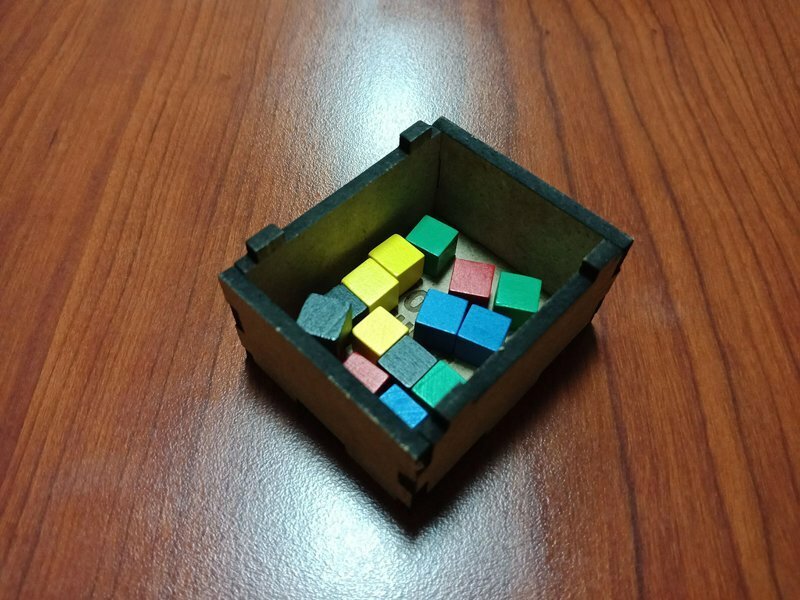 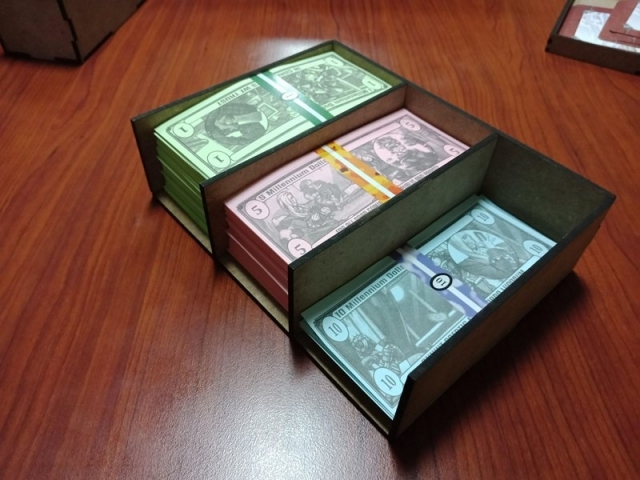 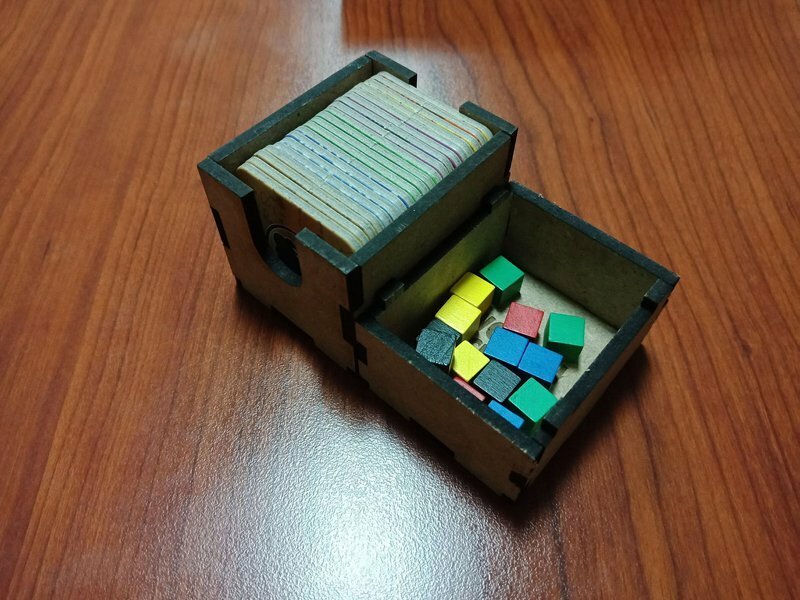 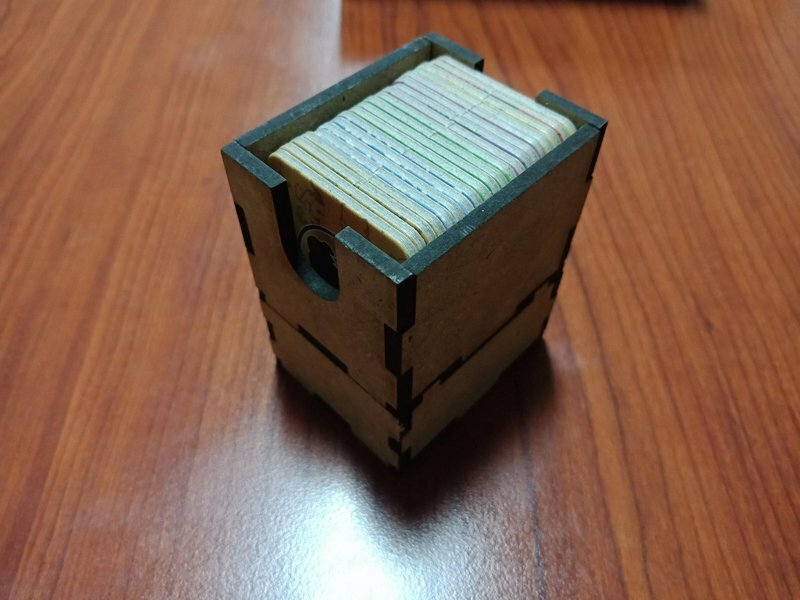 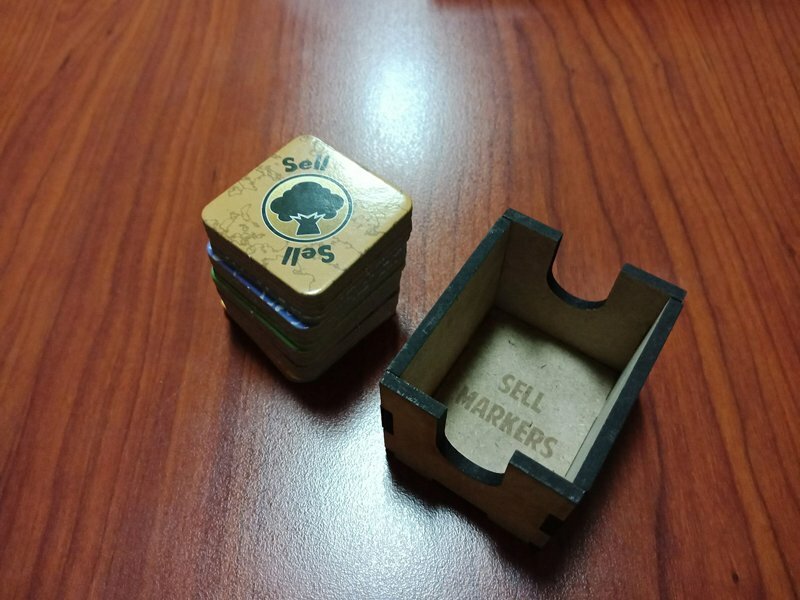 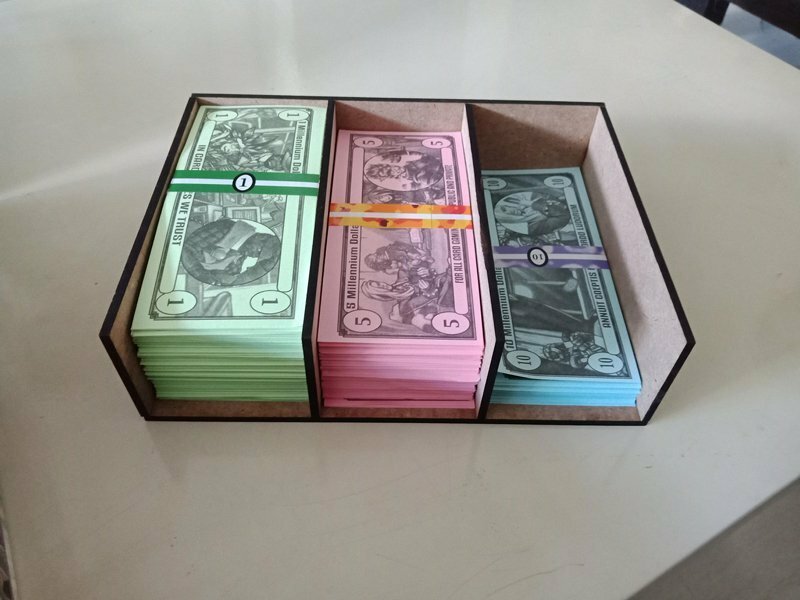 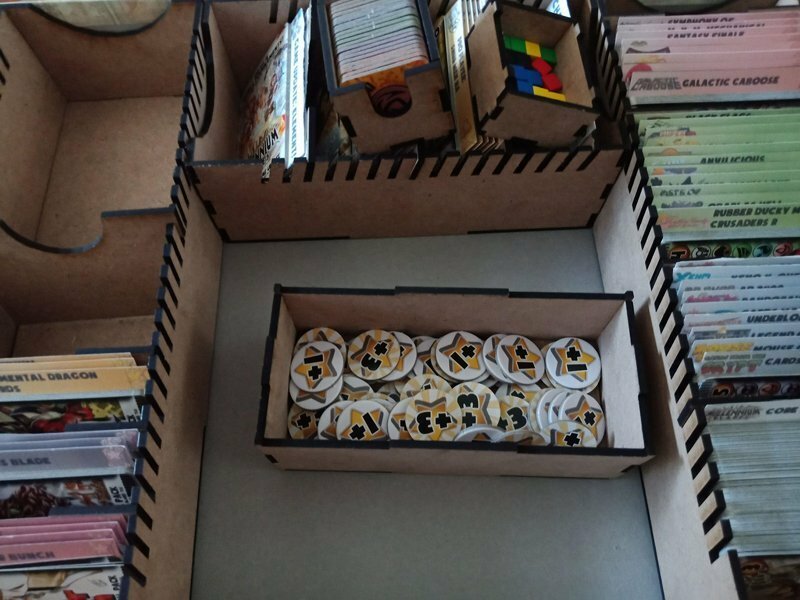 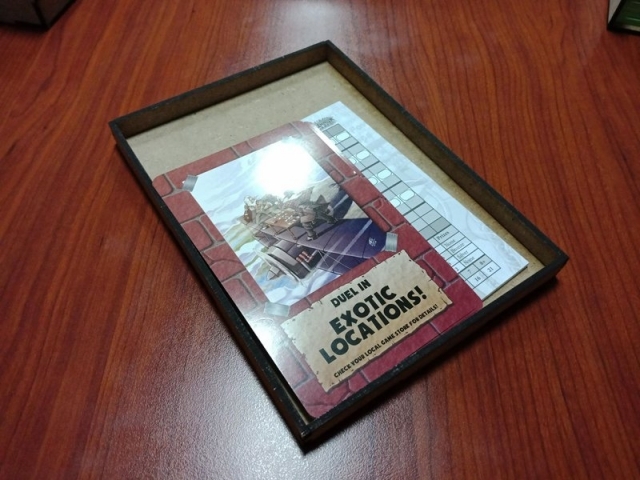 It also comes with a box for keeping the VP tokens, a box with 3 dividers for the bills, 2 small stackable boxes for the sell tokens and RP markers, and a shallow box for the score sheet and venue cards. They all fit fairly well inside the game box, though a little snug there is nothing to be afraid of for the corners ripping. Some of the pieces have come undone a little especially one of the sides of my money insert, but can easily be fixed with some glue. 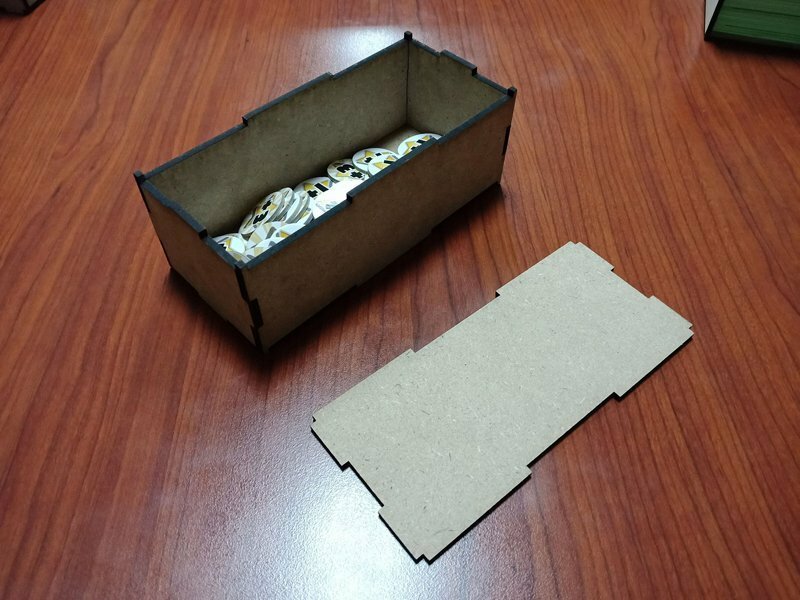 I’ve also noticed the smaller parts of the insert look like they could easily be torn of if not careful in the assembly process. 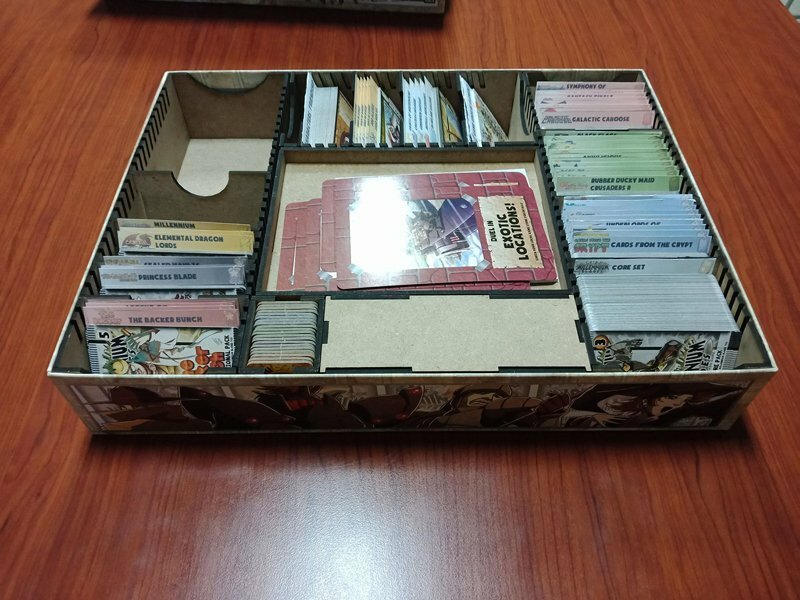 I’m very satisfied with my purchase and am hoping to buy some more inserts from them again. 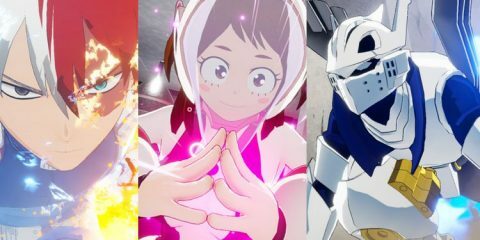 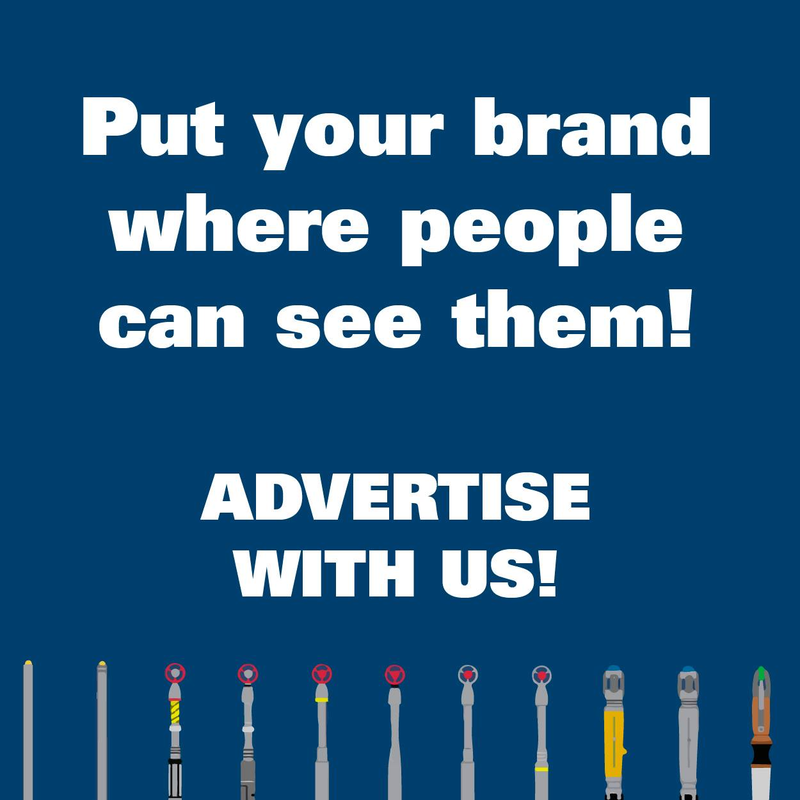 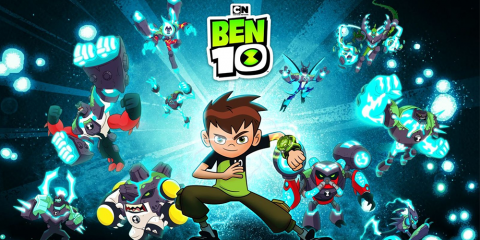 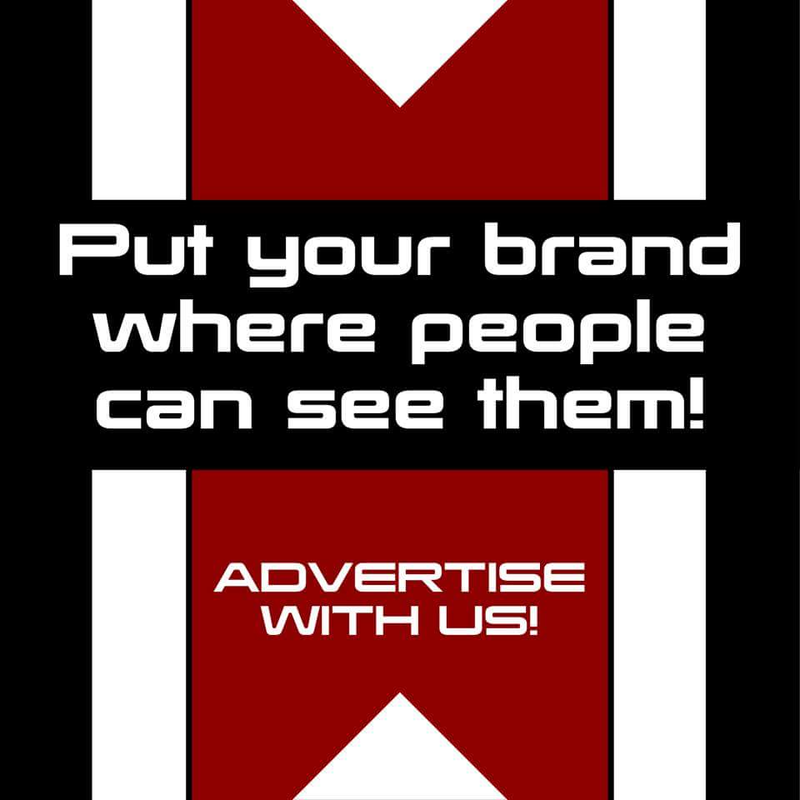 You can check out their fanpage here.